Memorial Village ENT (Houston) - Book Appointment Online! 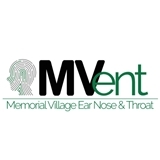 Memorial Village ENT specializes in diagnosing and treating ear, nose and throat (ENT) problems. We have been serving the Greater Houston community since 1996. Together with his team of medical staff including allergy technicians, audiologists and VNG technicians, Dr. Conrad Kyle McCutcheon has dedicated his medical career to providing comprehensive ear, nose and throat care to his patients. Our office is equipped with the latest diagnostic equipment. We also provide in-house allergy, hearing and balance/VNG laboratories. Memorial Village ENT is conveniently located at the south side of Katy Freeway / I-10 at the Campbell Rd Exit in the Village Medical Plaza building, approximately 2 miles east of Memorial City Mall. A free covered parking garage is immediately adjacent to the building.